It’s mid-August, and before you know it, Christmas will be knocking on your door. Like every year, the season will bring itself the question of what to do during the vacation. You could spend the Christmas huddling around the fire with your family, trying to escape the sub-zero temperature outside. Or you can escape the winter blues by taking your family for a vacation. We would suggest you the latter. Most of the people follow the general rule there is no place like home during Christmas” when it comes to where they would want to spend their holidays. But not many know that Christmas is the best place to explore the world. Celebrating Christmas in a place that you are unknown to will give you a different experience altogether. 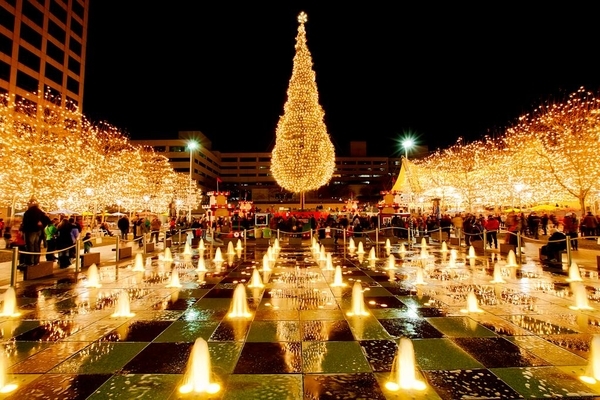 Here is a pick of the ten best destinations to travel during Christmas. 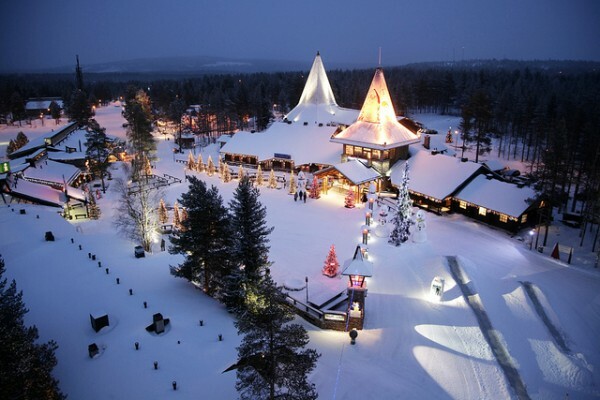 Lapland is a Christmas wonderland. Here, the reindeer roams free, so do the other Arctic wilds like hare and Arctic Fox. Santa’s Control Center and the Elf School will give your child ample opportunities to understand the workings of the entities of North Pole. We would particularly recommend you to visit the Urho Kekkonen National Park, which is just 90-minute flight from Helsinki. You can also go skiing on the Saariselkä trails. Even the hotels of Lapland are pretty amazing. There are hotels in the shape of igloos, which are actually made of thermal glass. Lapland also organizes a four-hour cruise on the Sampo. Stick around long enough to witness the stunning Northern Lights in its glory. The legend of Sinterklaas or Santa Claus is very strong in Amsterdam. Amsterdam comes alive with lightning everywhere during Christmas, including avenues and shopping malls. The 16th and 17th-century houses are decorated with lights every year in December. And the water gets cold enough for the canals to freeze. So you can have an ice-skating party here. You can also consider extending the trip till the New Year to see the stunning fireworks in the Dam Squares and Neumarkt. You should try to go bike riding and tour the city’s outdoor links. Or stroll on the streets within the central canal ring that contains cafes and bars where you can linger. The 17th-century residents that make up the Canal House are ideal places here. 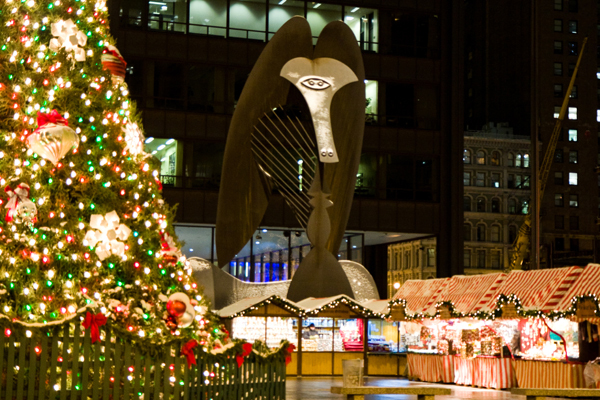 Chicago, the Windy City as it is fondly called, embraces Christmas cheer like no other state in America. The millions of lights along the Magnificent Mile, the outdoor German crafts, the Christkindlmarket and the handmade Christmas tree, everything here screams Christmas. The holiday-themed amusement park, the ice skating rink and the Navy Pier’s Winter WonderFest are must visit places here. Boutique hotel like Hotel Monaco Chicago, with its sense of humor, is an ideal hotel to reside in Chicago. As for dining, the cozy eatery Bin 36 is the best place to hog. The eatery serves a creative, locally sourced menu on the Christmas Day. Starters here include Applewood-smoked bacon and main source cedar-plank salmon with lentils is must have here. Vienna is the best place to go for Christmas in Europe and one of the best in the world. A kind of old-fashioned warmth envelops the whole of the city. The twinkling decorations and Christmas markets soften the sharp edges of the imperial architecture. Shop for ornaments and crafts from the vendors while sipping a glass of mulled wine and eating finger food. The Ring Hotel located in the Kaerntner Ring is one of the best places to stay here. It has a classic Vienna look outside, but is artsy, modern and cool inside. To enjoy the Holiday dinner, head to Eight, one of the most acclaimed restaurants of the Ring. It offers four to five-course menu, especially for Christmas. Pickled pork cheeks with fried onions, deer loin, and lobster are must haves. Are you a beach person? Tired of the same old, white Christmas? Then head straight to the Bahamas. The Bahamas is a country whose economy is wholly devoted to tourism. This makes it one of the most welcoming and friendliest destinations around the globe. The beaches of this place are very inviting and so is the cuisine. What we particularly love is the enthusiasm of people during Christmas. And the temperature here hovers around 75 degrees Fahrenheit. What more do you want? New York is, hands down, one of the best places to spend Christmas holidays. It’s timeless and beautiful. It turns into the North Pole during Christmas. Take your child to the Santa’s workshop, watch the glassblower give a demonstration on the making of Christmas ornaments, see the candy maker whip up the sweets or engage in a chat with Tanenbaum, the talking tree. 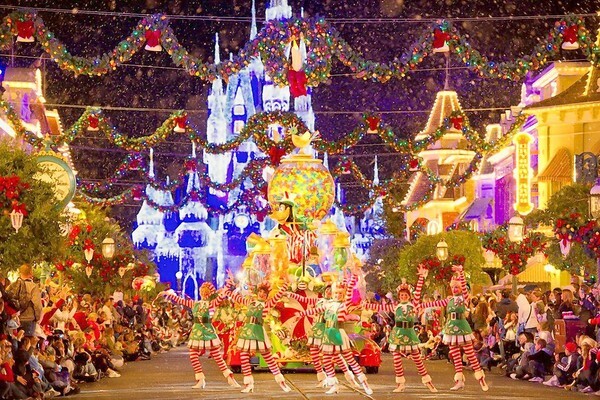 Another attraction that scores big during the holidays is Radio City Christmas Spectacular. And a carriage ride through the Central Park is something that you must experience here. 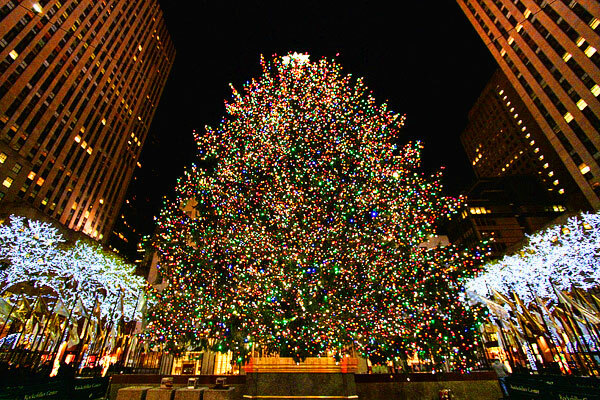 This is just a sample of some fantastic activities to indulge in New York during Christmas. To experience all, you must be here. 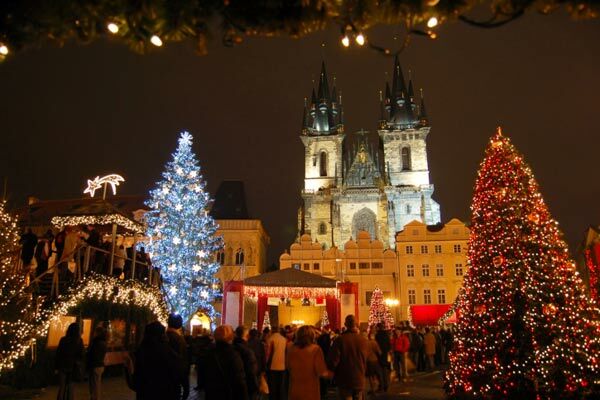 Prague is another great place to visit during Christmas. Stroll through the historic Nerudova street in the Mala Strana to check out the city’s Baroque and Gothic architecture. Or catch a ballet or opera at the National Theater or State Theater. 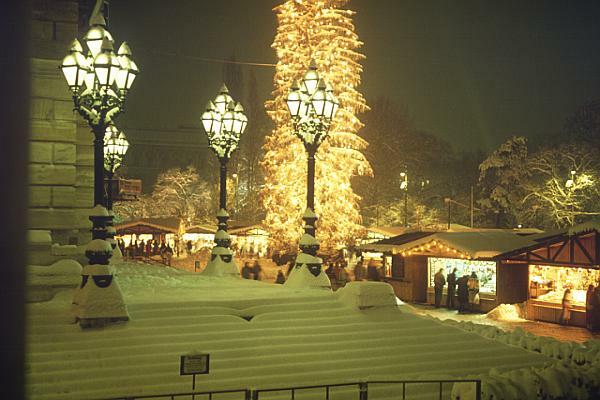 The markets light up the town and bring the tourists and locals together to share the spirit of the winter wonderland. 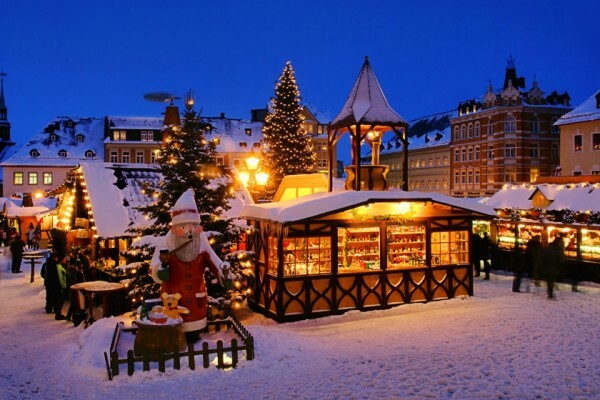 And the holiday markets in Old Town Square and Wenceslas Square are must visit. The beers are must have here, so grab a pint of the pilsner at U Pinkasů. You can also observe how the beer and traditional foods are made here. There are many places to visit in Germany during Christmas, but Cologne stands out. The beautifully decorated buildings, malls, and streets give out a strong, Christmassy vibe. 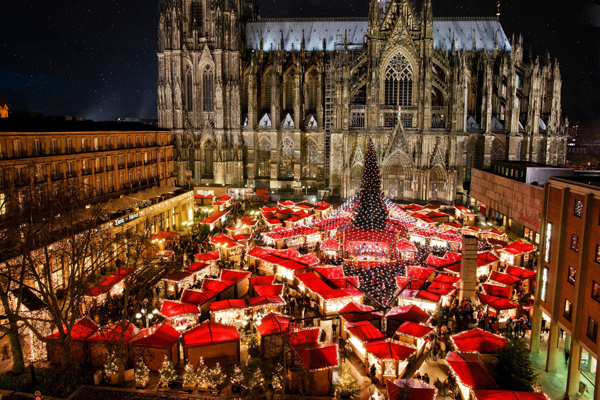 There are eight different types of Christmas markets in Cologne, located on the both sides of the Rhine. The largest one is situated on the plaza in front of Kolner Dam, the iconic cathedral of the city. The place is great for couples, reticent and peaceful. Grab a glass of hot glühwein if you feel the chill getting better of you. Honestly, we don’t think anyone can beat the appeal of Cologne. 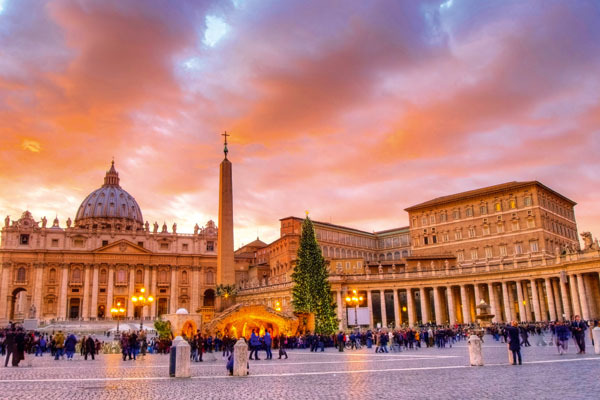 Christmas in Rome is much more solemn than most of the Italian countries and seems subdued when compared to the frenzy of the United States. And it actually makes sense, considering it is the place where the leader of Catholic Christian resides. Rome is the place where tradition and faith take a central role than merriment. Even if you are not very religious, you must take part in the midnight mass in Rome’s Parthenon. And the weather is also very pleasant at this stage. In fact, it is much better than summertime. 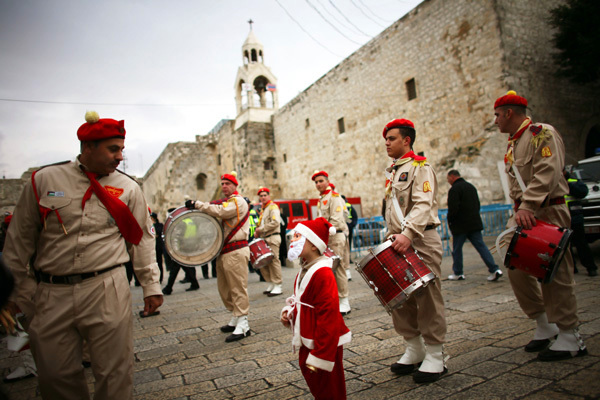 You don’t always need snow and scarf to experience an authentic Christmas. 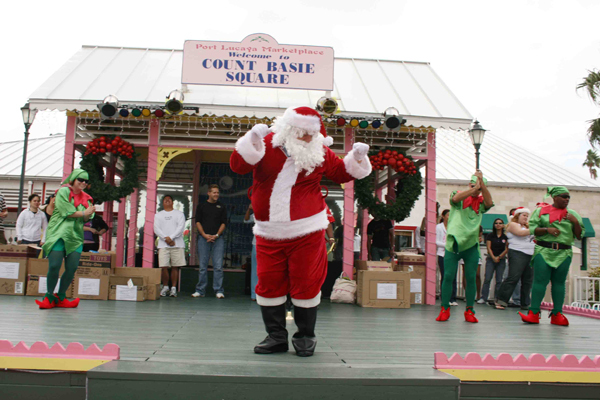 Puerto Rico has its own set of rituals, customs and traditions about Christmas. The multi-colored lights also look equally fantastic strung through the palm tree. The holiday season gets started early in Puerto Rico. The families holds parties; foods and celebrations beginning from the 20th of November 6 to January, but the Noche Buena, or Christmas Eve is the most anticipated holiday event. Even the Puerto Rican cuisine is delectable. The coquito in Puerto Rico tastes like eggnog but is actually coconut. So pack your bags and sing the carols up loud, as these festive jaunts will add extra glamor to your Christmas this season. It is rare to find a bargain during the Christmas, so wherever you are thinking of visiting, we would advise you to book early to avoid disappointment. Which place are you looking forward to visiting during Christmas?